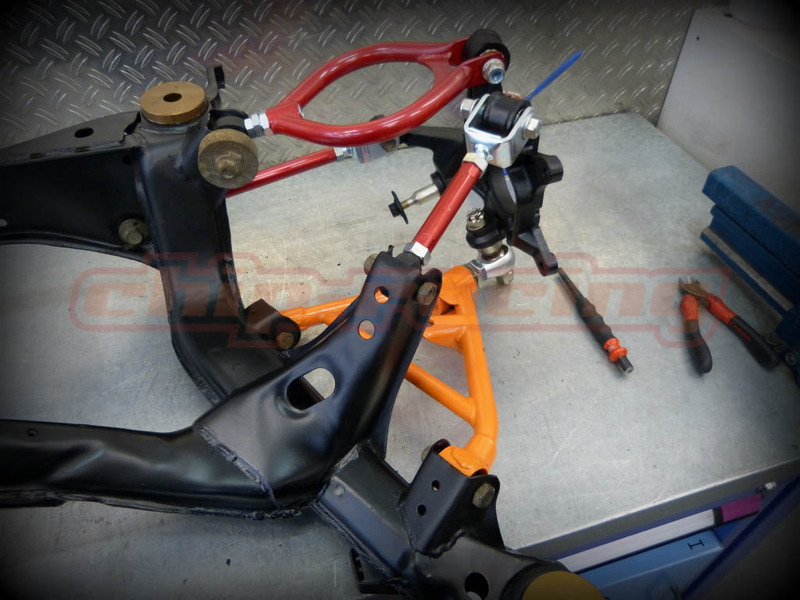 By the start of this week we had the rear subframe and some parts back from the paint shop and could finally start to reassemble the rear-end! As we want a maximum of feedback, all the rubber bushings had to leave the field and let the big boys in form of Ikeya Formula pillow ball bearings play their game. The Pillow Balls reduce slackness to an absolute minimum! 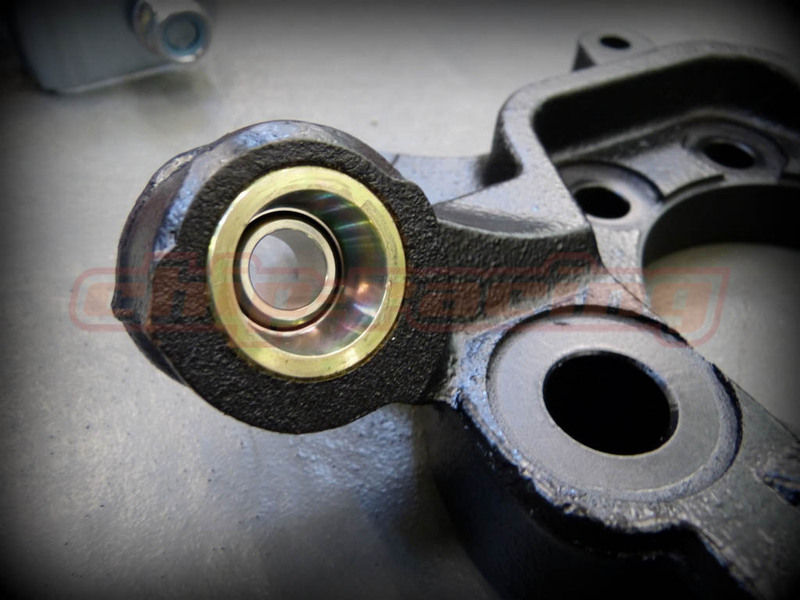 The old worn out subframe bushings got replaced by solid subframe bushings made from aluminium to make the rear suspension sit super stiff on the car, transforming the sloppy rear end to a solid and stiff masterpiece. 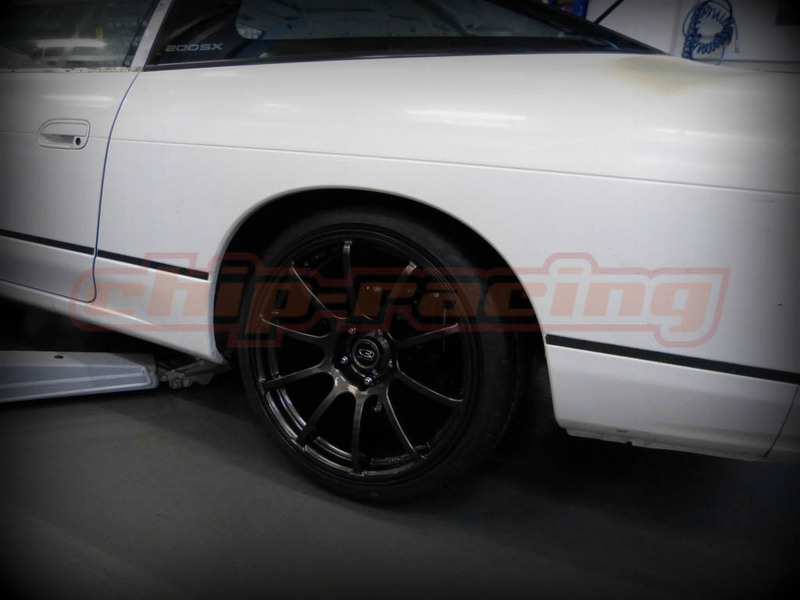 Another very important point on a race or driftcar is the possibility of adjusting the geometry perfectly. An often unattended thing to work with by lots of weekend-racers, because the best tires and suspension don’t perform as they could unless perfectly aligned! In this case we choose Kazama Items which are very well known for their superior quality and durability. 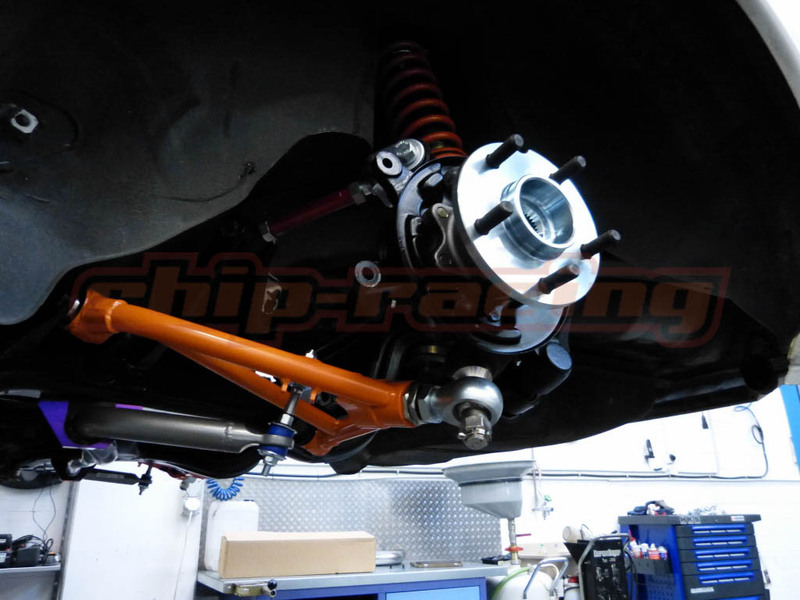 The Kazama adjustable arms allow us to adjust camber and toe settings exactly, the Driftworks lower control arms give us the additional possibility to adjust roll center and track width! The Tanabe Sustec swaybar, reinforced endlinks and the Attain 5-Lug wheelhubs with heavy duty bearings complete our rear axle! In near future a Kaaz 2-Way LSD will take care about the right power distribution and traction..and massive smoke out of the rear wheel arches! 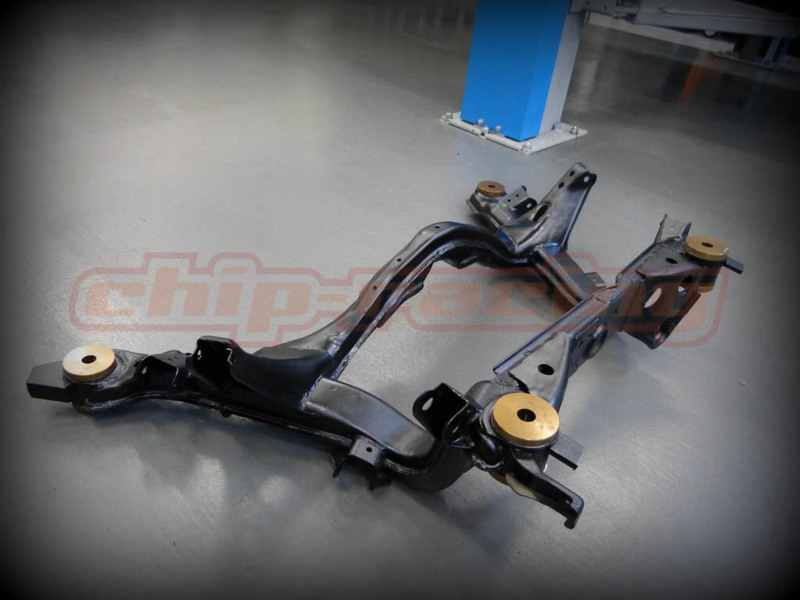 The subframe is now ready to bolt to the car again. The guys from Rota Switzerland hooked us up with some Rota Force wheels! Here’s a quick teaser to end this weeks update.